Back with its 4th edition, the Ladakh Marathon presents a unique opportunity for runners from India and all over the world: Run amidst the incredible beauty of a high mountain desert region, once a central stop along the historic Silk Route between Central Asia and India. 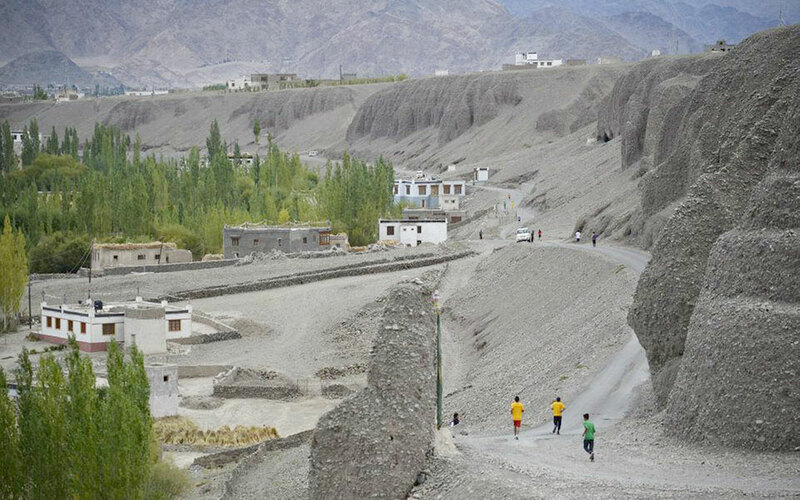 Taking place in and around Leh, the historic capital of Ladakh, the world's highest marathon offers runners stunning vistas of mountains, rivers and valleys. 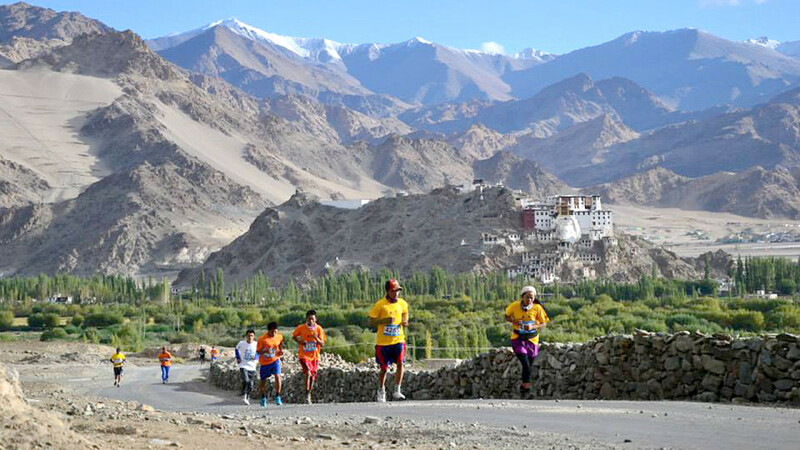 Organised by Rimo Expeditions, India's leading adventure travel agency, the Ladakh Marathon encourages residents to adopt healthy lifestyles, as well as create awareness of the need to protect a stunningly beautiful, yet environmentally fragile region. The AIMS-certified (Association of International Marathons and Distance Races) event will host four categories: 7km race, half marathon, marathon and the Khardungla Challenge, a 72km ultra-marathon. While the 7km is the shortest race, you will still need to be in a good physical condition to run at heights of 3.5km. Everyone, including students aged 12 and above, can join in the fun and excitement. If you're running the 7km, half or full marathon, you'll start at Shanti Stupa. Built in 1985 to commemorate world peace, this iconic landmark offers some of the most spectacular views of Leh, the capital of Ladakh. Beginning at Khardung village, the Khardungla Challenge will bring elite runners up a gentle but steady climb to the Khardung La top, one of the world's highest passes. Each route is different but they all involve some up and downhill paths. Depending on the route you opt for, you will pass through local villages, catch a glimpse of livestock like donkeys, cross the banks of River Indus, scan barley pastures, and so much more. More importantly, all of them promise interesting views that will leave you with fond lifelong memories. Race fees for international runners are priced between US$25 and US$100, depending on the category. 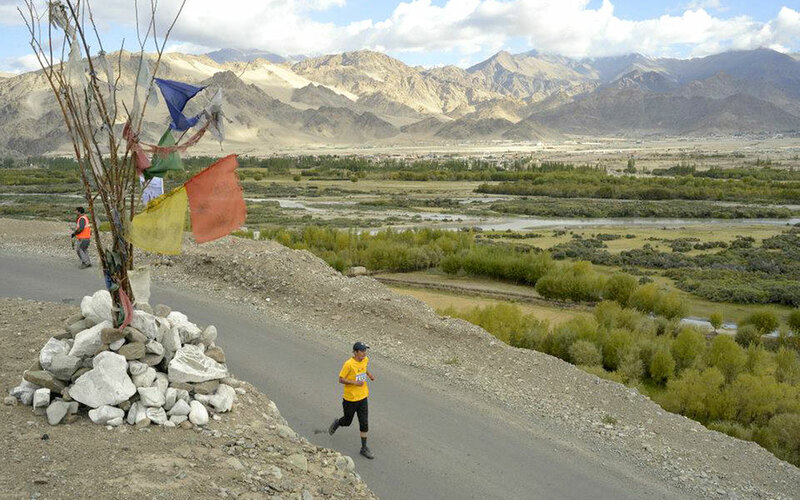 Register online for the Ladakh Marathon 2015 on their official website. You'll find their tips on acclimatisation and training handy. Do find out more about divine Ladakh and check out the travel packages available, too!